CCNA HUB Backend based on Genesis Framework which empowered us to quickly and easily build incredible website using WordPress CMS Platform. 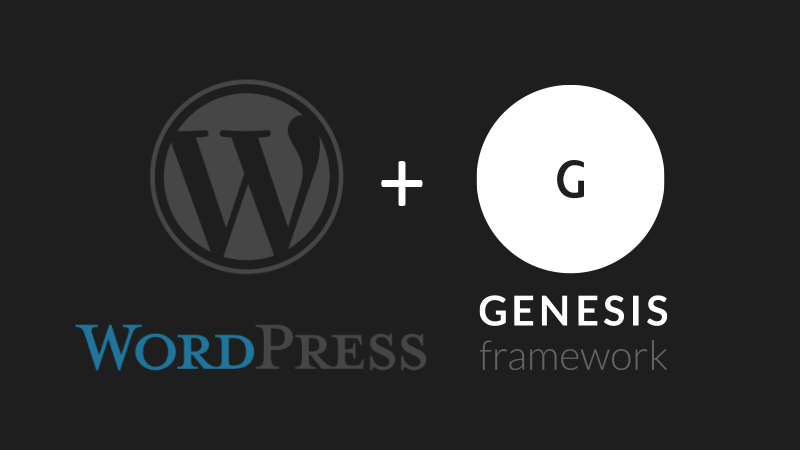 Whether you’re a novice or advanced developer, Genesis provides secure and search-engine-optimized foundation that takes WordPress to places you never thought it could go. Check Why Genesis Framework for more information. a3 Lazy Load by a3rev Software. Admin Post Navigation by Scott Reilly. Advanced Access Manager by Vasyl Martyniuk . Advanced Ads – Genesis Ads by Thomas Maier. Better Plugins Plugin by Russell Heimlich. Black Studio TinyMCE Widget by Black Studio. Breadcrumb NavXT by John Havlik. Broken Link Checker by Janis Elsts, Vladimir Prelovac. Category Specific RSS Menu by Tips and Tricks HQ, Ruhul Amin. Classic Editor Addon by Pieter Bos, Greg Schoppe. Comment Approved by Niels van Renselaar. Confirm Publishing Actions by Peter J. Herrel, Ramiro García Espantaleón. Contact Form 7 - Success Page Redirects by Ryan Nevius. Contextual Related Posts by WebberZone. Cookie Law Bar by WidgetPack . Crowdsignal Polls & Ratings by Automattic, Inc..
DX Unanswered Comments by nofearinc. Easy Code Placement by Jens Herdy. Easy Google Fonts by Titanium Themes. Easy Updates Manager by Easy Updates Manager Team. Edit Author Slug by Brandon Allen. Enable Media Replace by ShortPixel. Enhanced Media Library by wpUXsolutions. Exquisite PayPal Donation by DgCult. Fast Velocity Minify by Raul Peixoto. Featured articles Lite by CodeFlavors. Featured Comments by Pippin Williamson. Force Regenerate Thumbnails by Pedro Elsner. Genesis 404 by Bill Erickson. Genesis Club Lite by Russell Jamieson. Genesis Footer Builder by Shivanand Sharma. Genesis Footer Links Nofollow by Mike Hale. Genesis JS / No JS by Gary Jones. Genesis Printstyle Plus by David Decker - DECKERWEB. Genesis Simple Edits by StudioPress. Genesis Simple Hooks by StudioPress. Genesis Simple Menus by StudioPress. Genesis Simple Share by StudioPress. Genesis Simple Sidebars by StudioPress. Genesis Style Trump by Carrie Dils. Genesis Super Customizer by Mario Giancini. Get Widget ID by a.ankit. Google Adsense Dashboard by Alin Marcu. Hide Show Comment by tonjoo. Intuitive Custom Post Order by hijiri. Last Modified Timestamp by Evan Mattson. Magic Action Box by Prosulum, LLC. Magic Dates by Gerasimos Tsiamalos. Mark New Posts by TS Soft. Peter's Literal Comments by Peter Keung. Plugins Garbage Collector by Vladimir Garagulya. Postman SMTP by Jason Hendriks. Post Views Counter by dFactory. Really Simple CAPTCHA by Takayuki Miyoshi. Related Products For Amazon by Tadas Pocius. Reveal IDs by Oliver Schlöbe. RS System Diagnostic by Scott Allen. Safe Report Comments by Thorsten Ott, Daniel Bachhuber, Automattic. SCC - Post Meta by Sean Davis. Search & Replace by Inpsyde GmbH. Server IP & Memory Usage Display by Apasionados, Apasionados del Marketing. Show Parent Comment by Stephen Cronin (Scratch99 Design). Simple Comment Editing by Ronald Huereca. Simple Course Creator by Sean Davis. Simple Page Ordering by Jake Goldman, 10up. Simple Social Icons by StudioPress. Site Specific Plugin for ccnahub.com by wpbeginner. ThirstyAffiliates by Rymera Web Co.
TinyMCE Spellcheck by Matthew Muro. Title and Nofollow For Links by WPKube. Two Factor Authentication by David Nutbourne + David Anderson, original plugin by Oskar Hane. Was This Helpful Pro by flippercode. WP-Sweep by Lester 'GaMerZ' Chan. WP Add Mime Types by Kimiya Kitani. WP Crontrol by John Blackbourn & contributors. WPFront Notification Bar by Syam Mohan. WPFront Scroll Top by Syam Mohan. WP Health Check by Brijesh Kothari.